Detiam o Lenine (For Children About Lenin) was published by the State Publishing House in 1926, two years after Lenin’s death, and created by the Institute for Children’s Reading. The book’s editor is A. Kravchenko, who put together a lengthy 34-chapter, 71-page children’s book on the history of the revolution and the importance of Lenin. 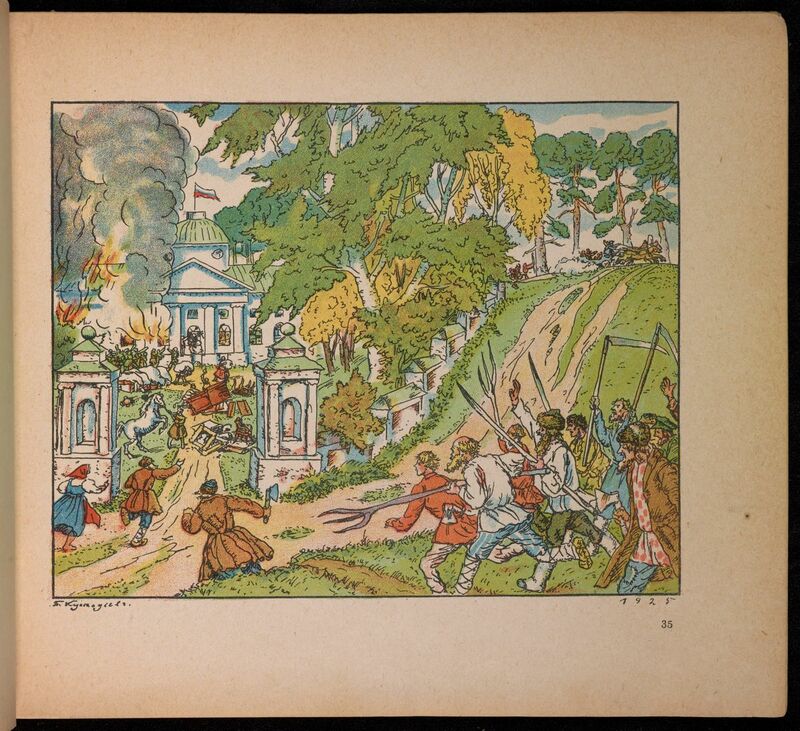 The book’s illustrations were executed by Boris Kustodiev, a former member of the World of Art group, whose members brought Russian book art to a new and exquisite level in the early twentieth century. Kustodiev’s other works include painting, portraiture, and stage design. After the 1917 Revolution he began to do illustrations for children’s books through the Raduga (Rainbow) publishing house. At the time that he created these illustrations, Kustodiev was suffering from paraplegia following tuberculosis of the spine, and was confined to his bed.